Help your pets enjoy life by providing a comfortable, climate controlled house just for them. 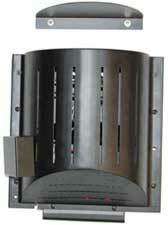 Secure Pets is pleased to offer affordable, climate controlled dog houses to fit any budget. No more worrying whether your pet is comfortable in extremely cold or hot weather. Our "Old Red Barn" is a symbol of a hardworking rural America. 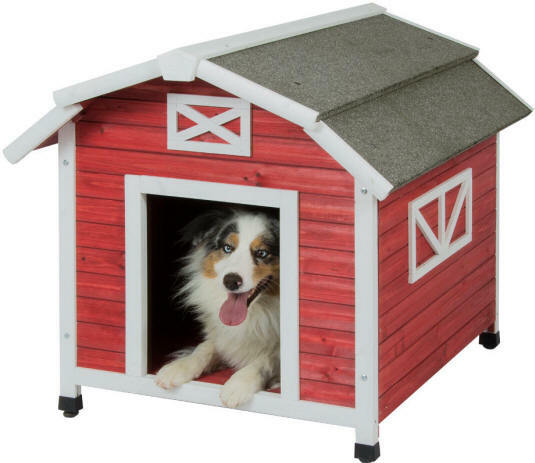 The attractive barn style design features a bright red & white finish and is ideal for dogs 50-70 lbs. Wood construction made from chinese fir wood, this home offers self-leveling, waterproof feet that are rot-resistant. The asphalt shingled roof and raised floor will withstand the elements and keep your pet comfortable and dry. A peak roof design with asphalt shingles provides further protection from sun and rain. 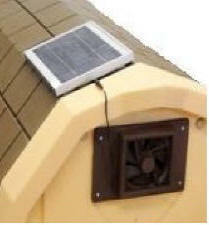 Vynl door flaps are available to compliment these insulated dog houses and assist with heating and air conditioning. 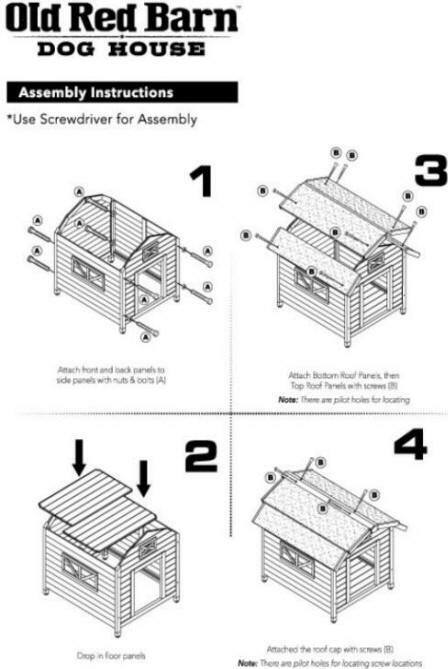 Assembly is quick and easy ... just four really simple steps as illustrated below. Some climates require heated dog houses for your dogs comfort ... others require cooled dog houses ... and still other climates require complete climate control with both heating and air conditioning. 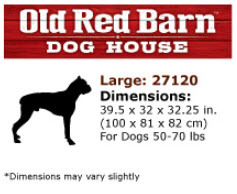 Whether you need a heated dog house or complete climate control these large spacious all wood dog houses are a perfect fit!